Microsoft's augmented reality headset, the HoloLens, is getting a taste of the classroom with Lifeliqe's new mixed reality apps for kids. Lifeliqe (pronounced "life-like"), a visual education company that creates digital science curriculums for students by using the latest MR and AR technology, just finished piloting its 3D apps on the Microsoft HoloLens for kids in grades six through 12 at Renton Prep in Seattle and Castro Valley Unified College in California. The kids were provided an augmented lesson on the circulatory system and electronegativity. Richard Schneck, a career specialist at Castro Valley Unified College, stated in a press release that the kids "were excited to dive into the blood vessel because they could visualize it, which should help their memory retention." Lifeliqe's goal is to allow students and teachers to have access to its over 1,000 ready-to-go AR models and lesson plans. The company also wants users to be able to share and create content within the app. Mixed reality offers completely unique means to deliver educational content, and we are excited to take another step forward in providing immersive learning experiences. The excitement we witnessed during the pilot shows us the great potential mixed reality has in sparking lightbulb moments. This isn't Lifeliqe's first time around the block, either. Previously, the company partnered with the HTC Vive virtual reality headset to create one large VR museum. They also offer a 3D digital science curriculum through Windows PC and iOS devices. 3D and mixed reality has amazing potential to improve learning comprehension, and we are excited to explore its possibilities in the classroom. 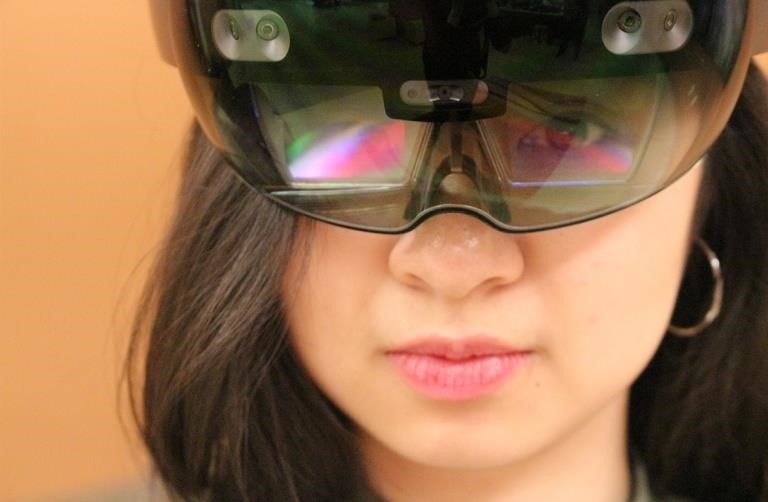 How would you feel learning about science through a mixed reality headset? Let us know by commenting below.